Motivated by CPUT’s resolve to conduct research that seeks to address society’s challenges, CPUT academics are collaborating with herbalists to validate their work. Prof Learnmore Kambizi, a lecturer in the Department of Horticultural Sciences, is leading a team of academics and postgraduate students that will help the herbalists establish and maintain herbal gardens as well as cultivate some medicinal plant species that would not ordinarily grow in the Western Cape. They aim to do this done through hydroponics and tissue culture techniques available at CPUT. Kambizi was invited recently to speak at a well-attended seminar convened by the Western Cape Inyanga Forum in Mfuleni, where areas of co-operation between Cape Nature, the Department of Health, academic researchers, local authorities and registered Traditional Medical Practitioners were discussed. He says the academics decided to work with herbalists as they are custodians of Indigenous Knowledge Systems (IKS), which they, the academics, intend to document to ensure that such valuable knowledge is preserved for future generations. 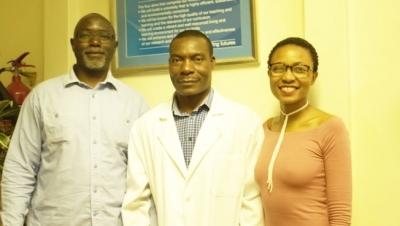 To sustain this research project and support postgraduate training he has been awarded funding to the tune of R1.5 million for three years by the National Research Foundation (NRF). “We conduct a wide array of bio-assays on various medicinal plants (both pure and crude extracts) to assess their curing potential and toxicity,” he adds.